Retractable screens improve your view and let in more light. DEAR TIM: Spring is here and the bugs around my house are a nuisance. I have traditional full panel screens that I leave in place year round. They're hard to clean, block the view when dirty, and are in bad shape. Is there an alternative? DEAR DEBBIE: You were not dreaming, not by a long shot. Window screens that disappear when not needed are available. What's so fascinating is that they are by no means a new product. They have a rich history and have been around for 75 years. It is amazing to me that this wonderful window option is not offered by more window companies as part of the original window installation. CLICK HERE to get FREE & FAST BIDS from local window screen companies that can install retractable disappearing screens! Full view fixed window screens attach to windows in many different ways. Some attach on the inside of the house while others fit the outside frame of the window. 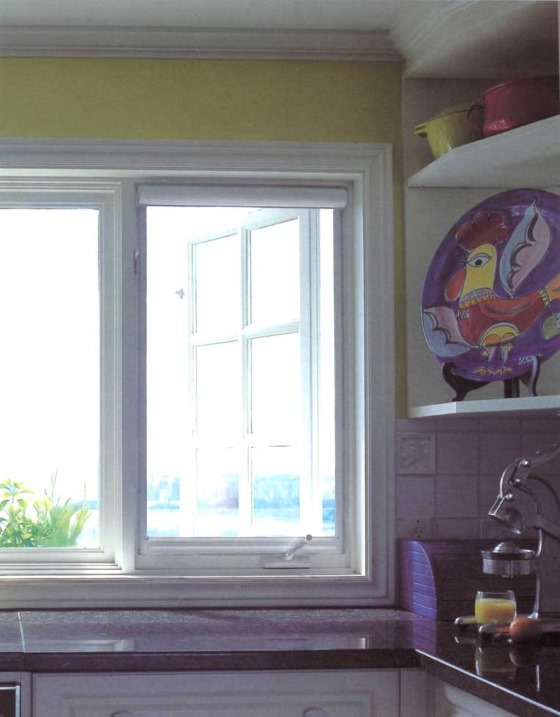 Fixed screens that are in the inside of a house can block some beautiful trim elements of the window. Those that fit on the exterior of windows can do the same. Exterior screens, in my experience, seem to get dirty at a much faster rate than those that fit indoors. Not only do screens block bugs from entering your house but they also block a considerable amount of natural light from entering. Many standard window screens can block up to 20 percent of sunlight from entering indoors. This may not seem like a big number until you do a quick experiment. If you have two windows that are side by side, temporarily remove the screen from one window to see the difference! Retractable screens solve lots of problems. They stop bugs just like any other fixed window screen. In addition, they can be retracted when not needed. This allows you to enjoy the view of the great outdoors without anything blocking your vision. If you operate air conditioning on days when the temperature and humidity make it stifling indoors, you can quickly retract the screen. As soon as the weather cooperates and you want to let Mother Nature ventilate your home, simply pull the screen into position. It is that simple. While the screens are retracted, they can't get dirty. Almost all of the retractable screens are housed in a sleek housing that fits snugly in the top of the window opening. Because the screen housing is only a few inches in height, they rarely block the view out of the window. When pulled into place, some screens are held in place by snap clips while other ones are secured by magnets. A spring mechanism within the housing provides the necessary tension to make the screen fit snugly across the opening. CLICK HERE to SEE Retractable Screens of all types. Some retractable screens are available that only block 15 percent of natural light. The housings that hide the screens are available in different colors. White, dark brown, and almond are standard colors. Some installers offer custom colors that include black, forest green, a handsome beige, and a deep grey. The plastic coated fiberglass screen is woven so that it is very strong and stops bugs, but yet allows an enormous amount of air to pass through the window opening. I need to warn you. If you decide to install these wonderful retractable screens as I intend to do, be aware that they are made to fit on doorways as well. The housing that holds the screen is simply mounted on the side of the door jamb and the screen slides side to side instead of up and down like it will on your windows. Retractable screens are quite possibly the best kept secret that I know of! I see some retractables that look flimsy (screenex) and others that look good but seem to be very darkening (phantom). What makes have you had good experiences with that are not highly expensive... we are retired. thanks.